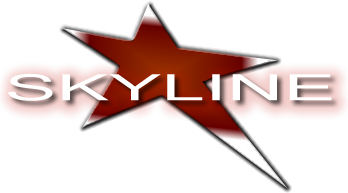 Aerial Drums - Cirque - Skyline Talent & Events - Exclusive representation for Cirque USA. 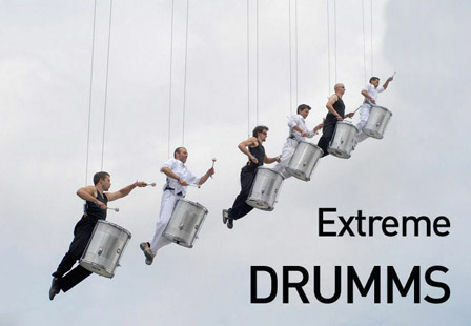 Building facades, event halls, arenas, stadiums, shopping centers offer space for our «Extreme Drumms» team to perform. These drummers will magically fly from the roof (they can perform at 30m height!) at a speed up to 8m/sec. The spectators will then experience live surround sound in a new, exorbitant show.